Laser cutting is a popular manufacturing process utilized to cut various types of materials economically. The operating cost is affected by laser power, cutting speed, assist gas pressure, nozzle diameter and focus point position as well as the workpiece material. 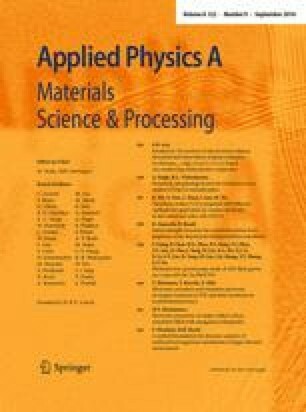 In this article, the process factors investigated were: laser power, cutting speed, air pressure and focal point position. The aim of this work is to relate the operating cost to the process parameters mentioned above. CO2 laser cutting of stainless steel of medical grade AISI316L has been investigated. The main goal was to analyze the operating cost through the laser power, cutting speed, air pressure, focal point position and material thickness. Since the laser operating cost is a complex, non-linear task, soft computing optimization algorithms can be used. Intelligent soft computing scheme support vector regression (SVR) was implemented. The performance of the proposed estimator was confirmed with the simulation results. The SVR results are then compared with artificial neural network and genetic programing. According to the results, a greater improvement in estimation accuracy can be achieved through the SVR compared to other soft computing methodologies. The new optimization methods benefit from the soft computing capabilities of global optimization and multiobjective optimization rather than choosing a starting point by trial and error and combining multiple criteria into a single criterion. A comment to this article is available online at https://doi.org/10.1007/s00339-019-2423-1.